OAKLAND - Today, Civil Rights and Media Justice groups across the country released a set of civil rights principles for the use body worn cameras by police. The principles outline the need for civil rights protections in the development of local policies regarding the use of cameras including creating public access to the footage and limitations on use. “Body worn cameras aren't facing the cops, they're facing civilians. They're a tool to aid law enforcement in collecting data. As such, civilians need protections from the over-broad use of video surveillance by police officers. These civil rights principles offer that protection to communities of color, low-income communities, and all those affected by the disparate impacts of a racially discriminatory criminal justice system,” says Malkia Cyril, Executive Director at the Center for Media Justice. Dante Barry, Executive Director of the Million Hoodies Movement for Justice and member of CMJ's Media Action Grassroots Network, signed on to the principles for the same reason. "Without the buy-in or input from the community, the implementation of body worn cameras can be used to further criminalize, police, and survey poor communities of color and Black people. We know from past incidents, cameras even near police officers still won't hold them accountable for incidents of police brutality," says Barry. 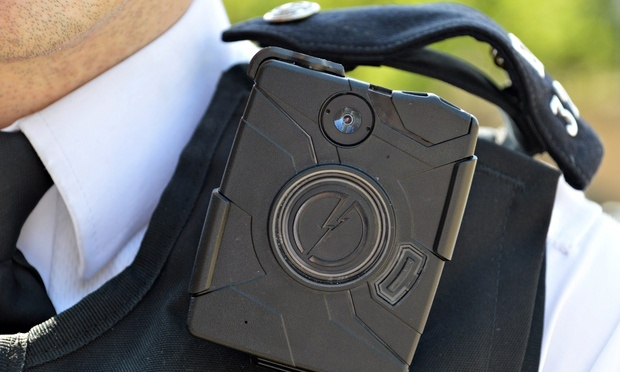 The debate over police body worn cameras was thrust into the national dialogue last summer in the aftermath of police killings of Eric Garner in New York and Michael Brown in Ferguson, Missouri. As White House and other government and law enforcement officials have funneled resources to body worn cameras and touted them as the solution to police murders and accountability, many in the Civil Rights community claim that technical solutions can not replace the social solutions needed. “It's clear that body worn cameras are not a viable substitute for comprehensive police reform in the 21st century, and in fact may supercharge the potential for high tech racial profiling and surveillance. That is exactly why civil rights principles for body worn cameras are needed. The Center for Media Justice endorses and supports these principles because they offer a useful blueprint that can help protect already overly policed communities from additional high-tech surveillance,” says Cyril. Devonte Jackson, a Bay Area Organizer with MAG-Net member the Black Alliance for Just Immigration, thinks the that principles are necessary, but does not believe that body worn cameras will stop the violence against Black people. "Black people impacted by state violence and terror do not require video evidence to know that we are being targeted, harassed, and criminalized by police. Body cameras are not our idea of justice. Justice for us is having a justice system that recognizes our basic human rights to live unapologetically in our Blackness."